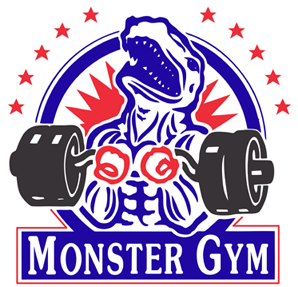 Check it out: I’m genuinely excited for this Saturday’s heavyweight championship fight. Been a long time since I could utter or type those words with conviction. Truth be told, I might be more excited for Wladimir Klitshcko vs Tyson Fury than I was for last week’s Cotto vs Canelo throwdown. Believe it. For Klitschko is indeed a great heavyweight champ. He’s had the misfortune of reigning over a weak era (we all have to accept that’s true), but so did most other heavyweight greats, including Jack Dempsey and Joe Louis. So yeah, the Ukranian giant deserves his props. 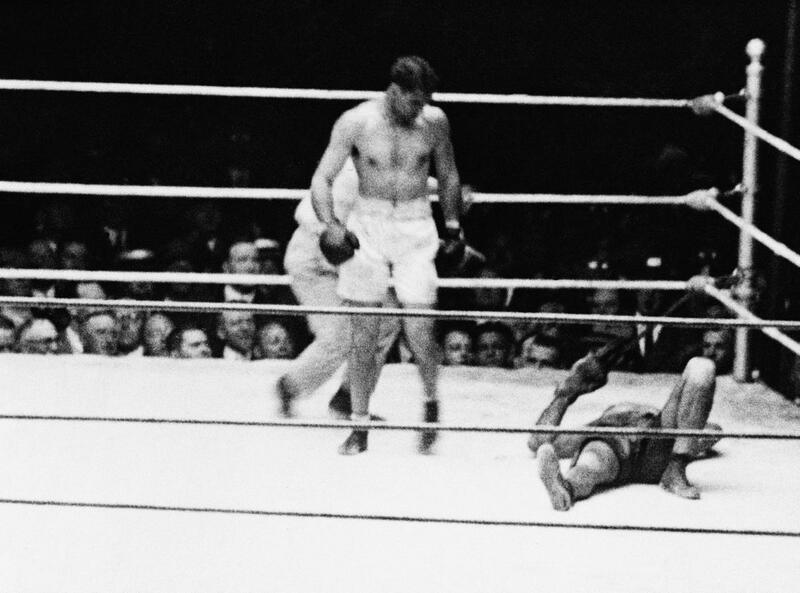 Jack Dempsey flattening Luis Firpo. I suspect he may be in some danger at the moment, believe it or not. Though I should probably be careful about shooting my mouth off; after all, I picked Cotto to stop Alvarez. But I’ve got a weird feeling about this showdown with Fury. There’s just something about the big Brit that screams “Wild Card.” And I’m not just referring to his personality but instead the entire package. Maybe. Maybe not. One thing is certain, however, and that’s the fact most analysts feel Klitschko will have an easy time of it – or at least a fairly easy going of it – when he and Fury finally meet in the ring this Saturday in Germany. Again: Maybe, maybe not. Yet a larger truth is at work here. 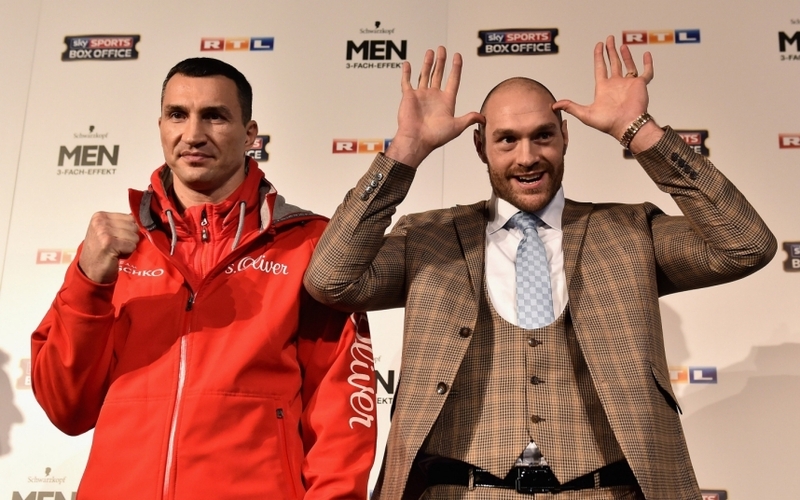 The heavyweight division is at long last – wait for it – interesting. That’s right, the heavyweights are now legitimately intriguing. Been quite a while since we could make that statement too. But there’s real talent out there, from around the globe, and that talent is inevitably going to face off and the results will be highly unpredictable. Aside from the fact that a legitimate great sits atop the heavyweight peak, there’s some serious threats on the horizon. That may not be good for Klitschko as he approaches 40 years of age, but it’s very good for fans. First, of course, is Fury, the enormous, skilled and, well, somewhat unhinged Englishman. Then there’s the man from the states, Deontay Wilder. He may not have faced a murderer’s row of opponents thus far, but it’s time for people to start giving the dude some credit. He does indeed possess some talent to match that punch of his. 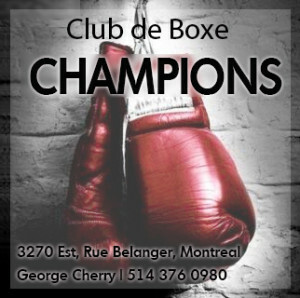 What’s more, he’s as hard working as they come, has a dynamic personality, and is clearly eager to grow as a boxer. Those who are writing the guy off are doing so at their own risk. 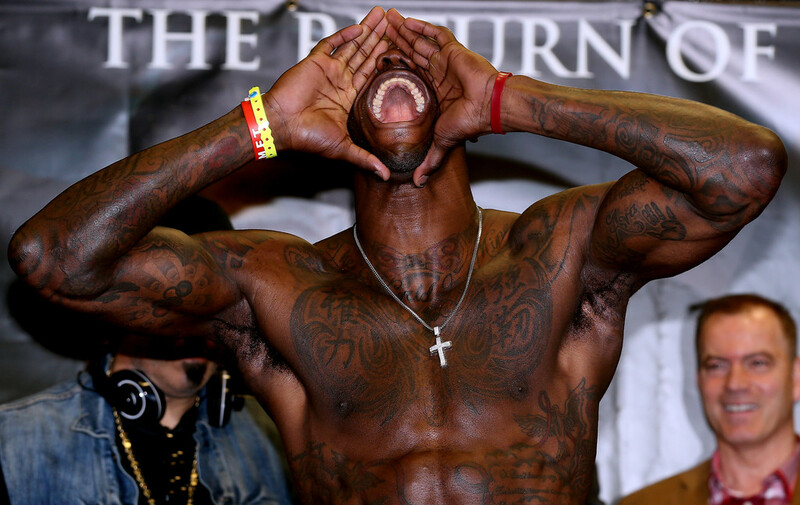 Gotta give a shout out to Deontay Wilder. 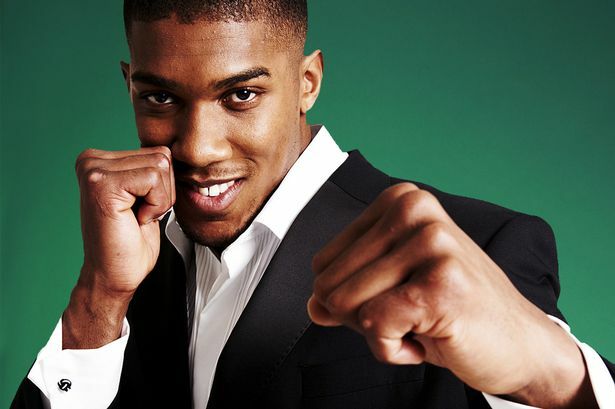 And let’s not forget the nuclear missile that is Anthony Joshua. I’ve taken some heat for being too big a cheerleader for the man, but hey, the dude looks good when he’s plying his trade. Damn good. Could the Englishman end up being a bust? Sure. But I wouldn’t put money on it. For all we know, Joshua could truly be the cream of this very new crop. But there’s some established fighters to throw into the mix, as well. Most analysts would agree that Alexander Povetkin remains dangerous since losing a disappointing fight to Klitschko in 2013. The Russian may be a bit like Canelo Alvarez: a guy who needed to lose big in order to grow as a fighter. Lastly, there’s the guys who aren’t getting the attention they deserve. Just before Christmas, Bryant Jennings, who gave Klitschko a better fight than most anticipated, is going to face the thunderous and undefeated Luis Ortiz in upstate New York. These are guys who can sneak up on the division quick. Jennings may well grow from his loss, like Povetkin, and as for Ortiz, well, he’s simply good for the fight business. After all, an undefeated heavyweight with 20 knockouts in 23 fights has a way of drawing people’s interest. What’s more, this match might well be explosive. Know who this British gentleman is? You should. 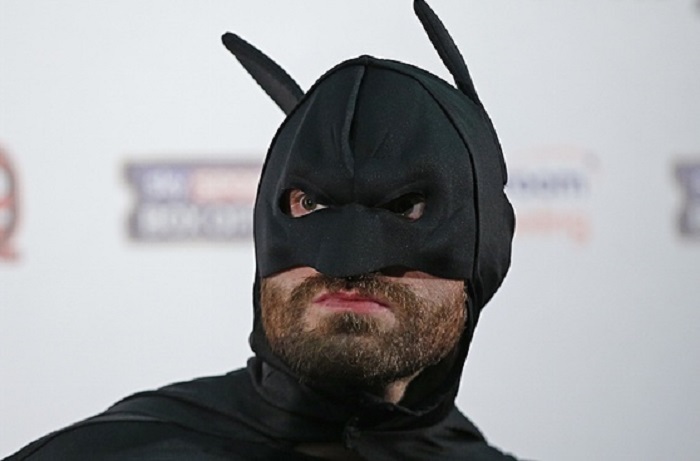 So yes, the heavyweight division is getting interesting again. And none too soon. And while it appears likely that what used to be called “the greatest title in sports” will remain in European hands for some time to come, that doesn’t mean future foreign champs can’t be popular stateside. For evidence, I give you Manny Pacquiao. And Canelo Alvarez. And Julio Cesar Chavez. And Roberto Duran. The bottom line is this: what fans want is a heavyweight division loaded with intrigue and suspense. That’s when things get good. Mike Tyson and Muhammad Ali may have ruled supreme but there were always serious threats, matches the public wanted to see. But for far too long there hasn’t been anyone around who could get fans excited about a Wladimir Klitschko fight. Until now. Dr. Steelhammer’s career may be winding down but, believe it or not, he just might give us some serious thrills before it’s all over. Great article, as is usual for this site. I’m super stoked for Jennings-Ortiz; I really fell in love with Ortiz seeing him on GGG-Lemieux undercard. Wlad-Fury is very intriguing as well. 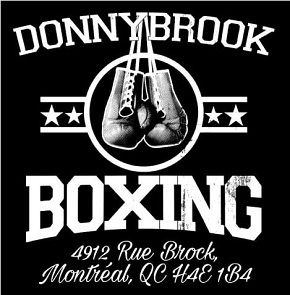 As for Deontay, I agree that he shouldn’t be written off, because he does have skills and seems to work hard as well. But the criticism of his opponents is legitimate. He’s 35 fights into his career and it’s time for him to step it up, if for no other reason than to prepare him for when he does face another top-tier fighter (Some people want to discredit the win over Stiverne; I still contend that he was a legit threat). Whether or not he will face Povetkin, we’ll just have to wait and see as the WBC doesn’t seem too interested in forcing it’s mandatories. That would tell us a lot more about Wilder, as Povetkin has been blowing guys away since his abysmal fight with Wlad.